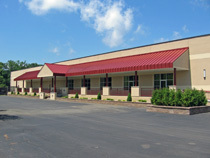 Touhey Associates -Office Space from Albany's Premier Commercial Leasing Specialists! We own and manage over 1 million square feet of office and warehouse space throughout the Capital Region. This includes the versatility of the Flex Space your business needs. Combinations of office, warehouse and retail space are available. Many space's are also able to be configured to fit your business needs.